In China, a high-level business executive was wrongly flagged as a criminal, and had her picture displayed on a public-shaming billboard as a result. Apparently, a facial recognition system spotted a bus ad featuring a picture of Dong Mingzhu’s face, and incorrectly tarred the real Mingzhu. This story is so dystopian I thought it was likely to be fake when I first saw it on a Chinese news site. And yet now, western sites like the BBC seem to be confirming it. As technology advances, Chinese society seems more and more strange to me. Here’s a Halloween fright for you: advertising via drone! 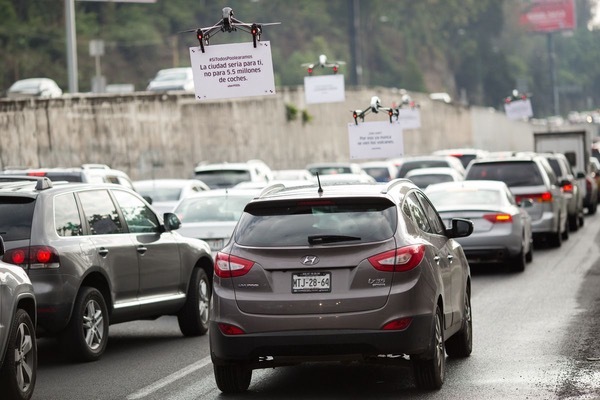 Yes, apparently Uber has used drones to advertise its services to drivers stuck in traffic in Mexico, resulting in one of the most dystopian pictures I’ve seen in quite some time. If I’d been stuck in this traffic jam, I certainly wouldn’t not have been able to resist visiting violence upon these taunting advertisements. 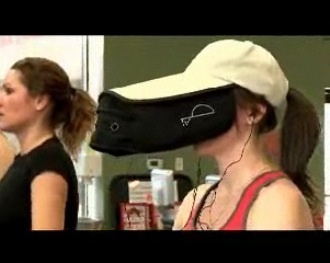 This particular product is almost too ridiculous to mock. Upon first seeing it, it may be difficult to believe this actually exists. Sadly for all of us, it’s quite real. In short, the As Seen On TV Hat is a hat (or visor!) with a shade attached to it. 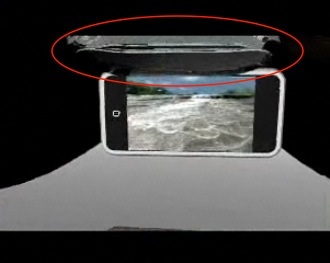 Insert a media player like an iPod or iPhone into the front of it, connect your headphones, and you can view your video in quiet, private comfort. Look at that thing! It’s like something out of science-fiction. It would fit perfectly into a dystopian future where humanity is addicted to television1, oblivious to the world around them. No. No, I’m sorry, I have to stop. I simply can’t waste any additional words trying to detail the stupidity. Instead, allow me to simply present some pictures from their commercial. 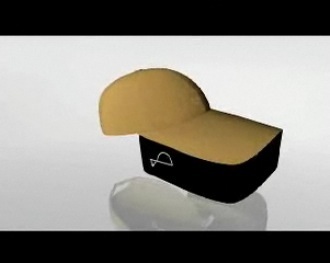 This is how they recommend using the As Seen On TV Hat. Avoid the wonders of nature! 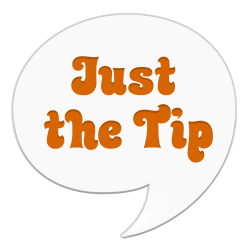 Get noticed at the gym! Laugh like a lunatic at the airport! Or just wear the world’s most ridiculous hat to the beach! Maybe the vendors know exactly what they’re doing. Perhaps they’re trying to sell gag gifts or trick grandmothers into buying a worthless product for their iPod-loving gran-WAIT! Hang on a second! 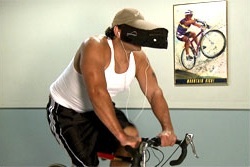 Is this guy on their site using the As Seen On TV Hat while riding a real bike? Ok, they’re in on the joke.